GERMANY: Research and development institute Fraunhofer Iwes has launched a three-year study into the effect of rain erosion on wind turbine blades. The institute hopes its findings can be used to make protective mechanisms for blades more effective and to help develop more reliable forecasting models for erosion damage. Tests will be carried out at its rain erosion test bench in Bremerhaven on Germany’s North Sea coast, in which raindrops are simulated and the damage they cause measured. The test bench is capable of precisely regulating the amount and size of drops, as well as their timing and frequency, Fraunhofer Iwes stated. It use a laser-based inspection system and a high-speed camera to provide damage documentation, recorded in high-resolution 3D images. These results will then be compared against damage progression data from operational offshore turbines. "Current automatic inspection systems in rain erosion test benches do not allow for detailed damage assessment and therefore reach their limits when it comes to deducing reliable damage models," said Fraunhofer Iwes project manager, Benjamin Buchholz. "(In this project) we will be taking our test bench to the next level in order to provide effective support for the development of a reliable damage model." Blade parts particularly susceptible to stress, such as leading edges, therefore need to be finished with protective systems such as paint and coatings. 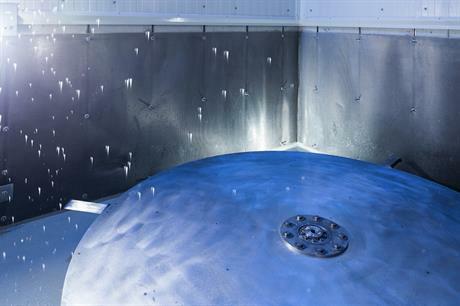 Development and validation of a method to accelerate the service life analysis of coating systems can help to prevent turbine downtime and damage, the researchers stated. 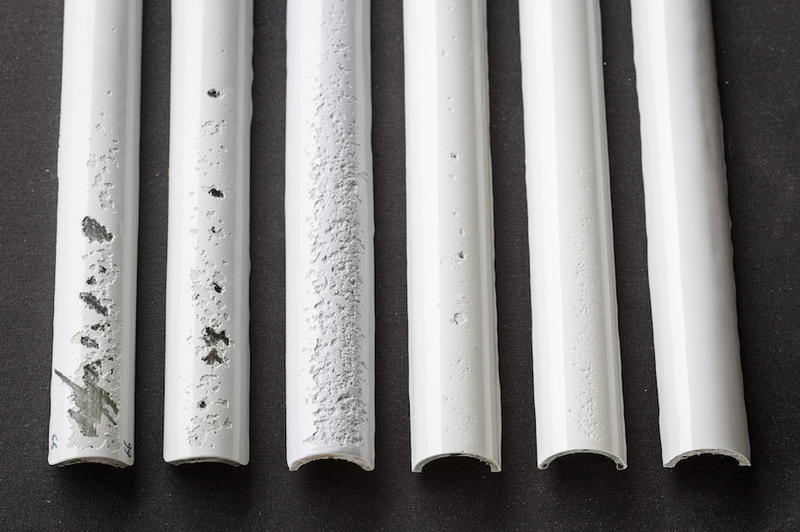 Fraunhofer Iwes hope the study will provide data for manufacturers to help them develop more effective paints and coatings and adapt their products accordingly. The research and development institute is partnered by Saarbrücken-based sister institute Fraunhofer Institute for Non-Destructive Testing, inspections and repair company Blade Care, technical maintenance companies Deutsche Windtechnik (DWT) and Jadewind, coating specialists FreiLacke, project owner Ocean Breeze and manufacturers Nordex and Senvion.